Hi! 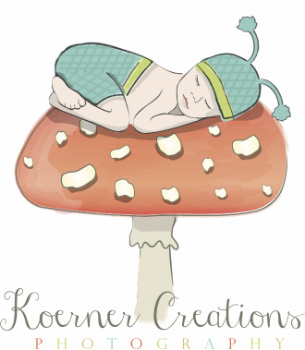 I'm Sarah Koerner, the face behind Koerner Creations! I am a dreamer, a lover of whimsy, & imaginative worlds. When not photographing babies, you can find me homeschooling, hiking, tending chickens, and gardening.... and once in a blue moon, dressing the family up for Ren Faire or a sci fi convention! I cycled through many obsessions growing up from Pokemon to Animorphs to the Hobbit and Lord of the Rings; explored creeks, built tree forts, and hunted for mushrooms & fossils all while pretending to be a paleontologist; and watched Star Wars, Stargate, & nature documentaries with my family. I believe my various interests over the years have influenced the type of pictures I lean towards taking. I enjoy bringing dreams to life and capturing the magic & wonder of childhood, beginning especially with the newborn age since they have just begun their journey of discovery & adventure with their family. I look forward to hearing from you & planning the details of your photos session together!